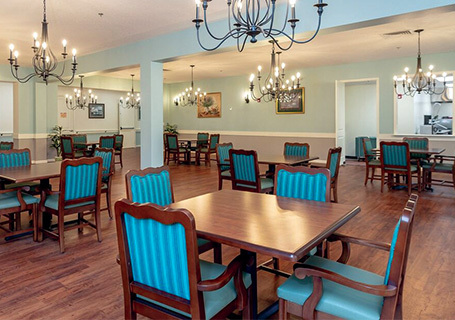 Color was a high priority when Rhonda Hatley, the operations manager at Noble House & Gardens in Jacksonville, Fla., started considering paint options for a new residence building at the assisted living facility. Hatley and facility ownership were well aware of studies that showed quality-of-life benefits resulting from room color choices for the elderly patients that the facility serves, so her involvement with Sherwin-Williams representatives as specifications were being discussed was no surprise. But an additional benefit resulting from paint specifications came as a complete surprise — and fit perfectly into the Noble House philosophy of offering a clean, uplifting and healthy environment for its residents. That benefit is the bacteria-fighting properties of Sherwin-Williams Paint Shield Microbicidal Paint, the first EPA-registered microbicidal paint. The first EPA-registered microbicidal paint that kills greater than 99.9 percent of Staph (Staphylococcus aureus), MRSA (Methicillin- resistant Staphylococcus aureus), E. coli (Escherichia coli), VRE (Vancomycin-resistant Enterococcus faecalis) and Enterobacter aerogenes within two hours of exposure on the painted surface. Available in 550 colors, it is ideal for healthcare facilities, athletic facilities, schools, day care centers, senior care communities, residential housing, hospitality settings and cruise ships. Paint Shield Microbicidal Paint kills greater than 99.9 percent of Staph (Staphylococcus aureus), MRSA (Methicillin- resistant Staphylococcus aureus), E. coli (Escherichia coli), VRE (Vancomycin-resistant Enterococcus faecalis) and Enterobacter aerogenes within two hours of exposure on the painted surface. It continues to kill 90 percent of these bacteria even after repeated contamination for up to four years when the integrity of the surface is maintained. “But we also really like the appearance of Paint Shield,” adds Hatley. 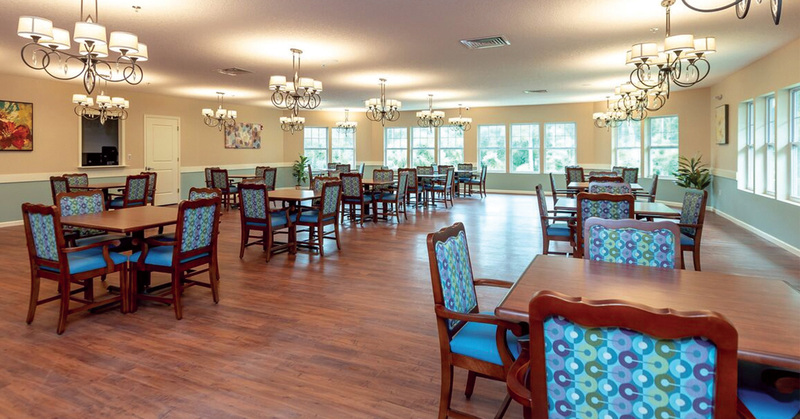 “Colors are really essential to making our residents’ days and nights more pleasant. Each floor in our facility has a different population of elderly residents, and this dictated our color choices. Sherwin-Williams was able to help us make a lot of these choices, and we chose our furniture fabrics based on wall colors as well. The new facility measures more than 38,000 square feet over two stories and features a full kitchen, dining room and activities rooms as well as individual suites. Hatley reports that 130 gallons of Paint Shield were applied throughout the facility. “This is really worth the long-term investment because of the properties of Paint Shield,” Hatley says. “The governing body for assisted living facilities came in and saw what we were doing and they were very impressed. And the Division of Health came in and told us they couldn’t believe how a product like Paint Shield, with its microbicidal properties, looks so nice. At Sherwin-Williams, we’re committed to continually developing innovative coatings and programs to help make your facility run smoothly while controlling maintenance expenditures. With more than 4,300 stores and 2,700 sales representatives across North America, personal service and expertise is always available close to your site. 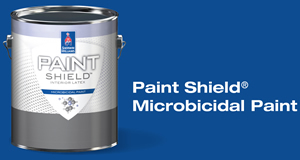 Find out more about Paint Shield Microbicidal Paint at your nearest Sherwin-Williams store or to have a sales representative contact you, call 800-524-5979.